Talk about a princess pink, hey??? With the help of my dad, we lugged out a number of pieces from our garage on Saturday afternoon for me to start working on. 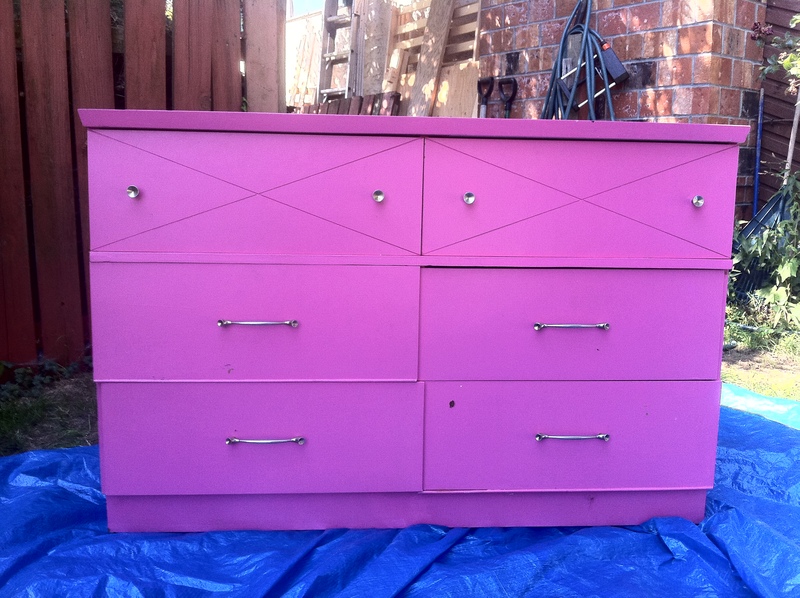 The pink dresser has been sanded and the first coat of primer is on and now I shall wait till the morning(praying it doesn’t rain overnight!) before I will apply a second coat. “Pink Princess”. I’m still not sure what I’m going to do with it yet so I would love your imput and ideas if you have any to share! 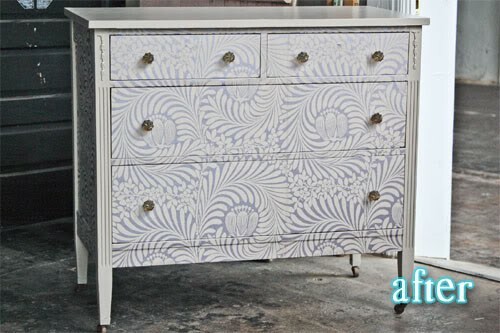 I love the thought of doing a two-tone hand painted stencil on it. I think I would choose two colors that are only a few shades apart to give it a subtle chic look. 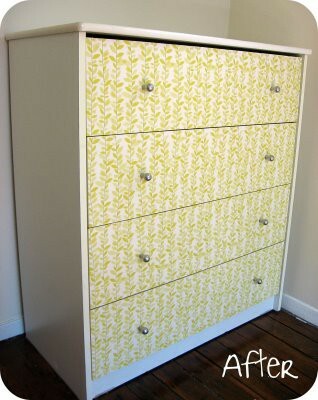 What I like about this option is that I could incorporate my love for floral prints on the drawers and then paint the rest a solid white color or maybe a vibrant color like the next two photo’s to make it more of a statement piece! 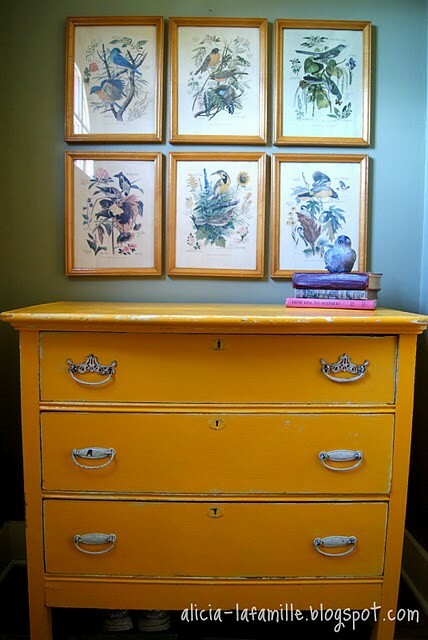 I love that this one combines a bright solid colour and a distressed worn look. 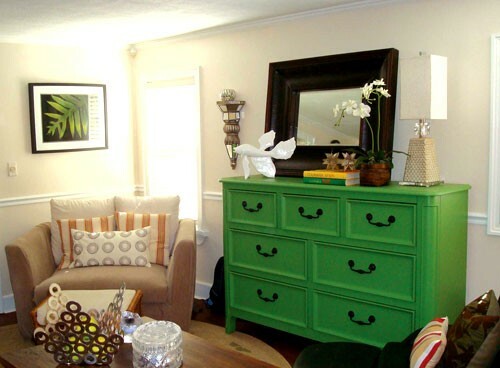 And for some reason, I am really drawn to this wow factor Kelly green piece. It’s a bit more contemporary than I usually like but I am a fan of mixing styles to really create a unique one of a kind look. Check back soon to see how it all turns out!